The photography is by Hugh Stewart, please look at his online portfolio because he will surely provide you with an ample dose of inspiration today. 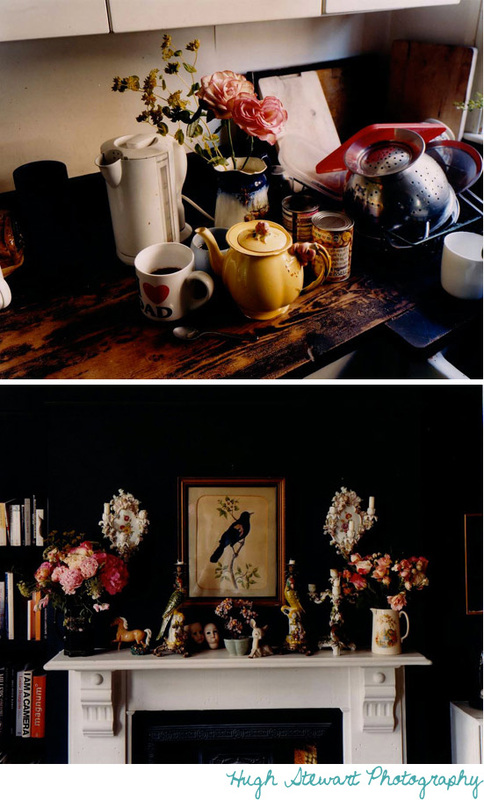 Here are some of the photos that he took of Jo's home below as well, I like this space because it is lovingly curated and not so carefully edited -- that wonderful "real life lived-in" charm is still very much part of this home. It feels cozy and inviting, evidently a place that Jo spent a good amount of time pulling together. I like how Vogue described it, "More Dash Than Cash". How appropriate! I support this way of living very much... creative touches, recycling, upcycling, thoughtfully curating, yes -- more dash than cash or as I'd say it, creative authentic living. 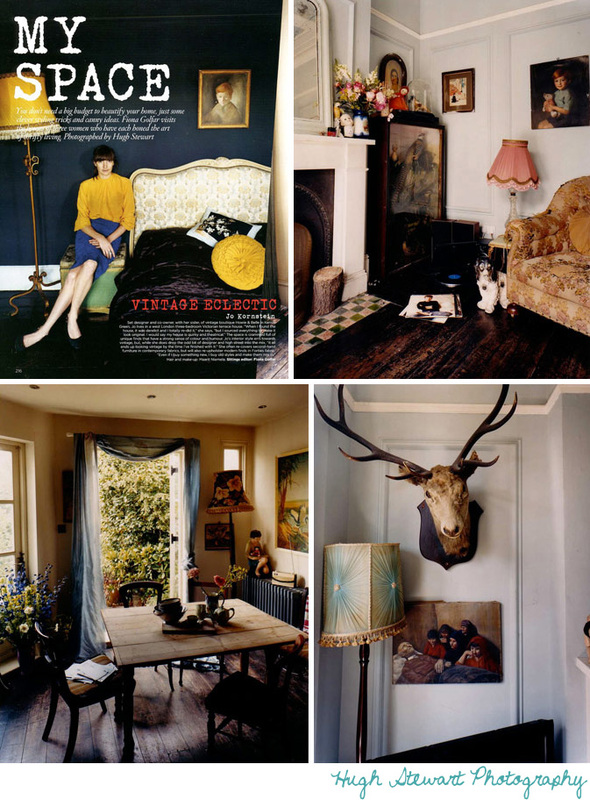 And it's also obvious that Jo is a set designer... her home feels like you've just walked onto a film set. These authentic and welcoming homes are the best homes, aren't they? Ones that reflect the heart and soul of the dweller, a home that feels and smells and matches the person/s living there so well that you'd walk in and say, "Oh this is so, you!". Has anyone ever said that in your home? To me, it's the perfect compliment.